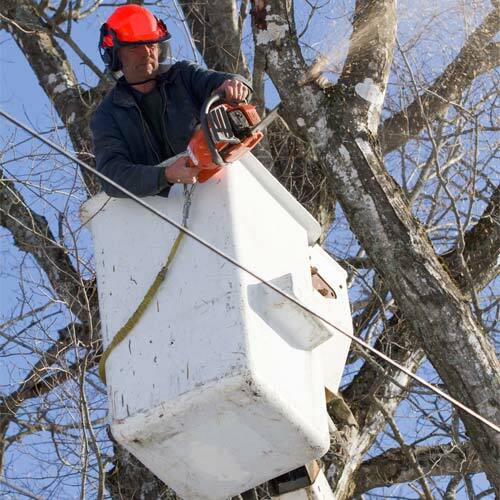 If tree removal is our most popularly request service, tree trimming should be. Professional trimmed trees not only enhance the beauty of your trees and landscape, but it also improves their health. Untrimmed trees quickly become unsightly, unhealthy, and at times hazardous. Most trees need to be trimmed every three to five years in order to maintain their shape and health. Especially with older trees (over 15-20 years), dead branches can make the tree unsightly and dangerous. Further, tree branches touching your home or business will likely void your homeowner's insurance policy. Tree trimming is part art and science. The science part of tree trimming can be learned by almost anyone; however to artfully trim trees is a skill based on years of experience. Over-trimming a tree potentially risks disease and makes the tree look unnatural. Under-trimming a tree has a little beneficial effect. The key with tree trimming is to re-shape the tree and eliminate dead, damaged, or diseased limbs and branches. Tree trimming can truly be transformational your trees and landscape. Each species of tree should be trimmed a bit differently. This is due to a variety of factors: the natural shape of the crown; growth pattern; age, how it fits into the landscape; and the condition and shape of the tree at the time of trimming. And, during the process of trimming, our arborist will advise you on the condition and health of the tree as there is no better opportunity to assess this than during trimming. We may be conflicted when we write this, but 80% to 90% of all landscape trees could use a good trimming or at least a major pruning. Unfortunately, most people ignore their trees, assuming they will take care of themselves. Well, in fact, they will take care of themselves for the most part, however, to remain safe and atheistically pleasing in your landscape is not something a tree naturally does. Further, an untrimmed tree can also cause problems in your landscape, such as not allowing grass and other plantings to grow. Trimming will definitely help in this regard. In trimming trees, we follow the guidelines provide by the Arbor Day Foundation. 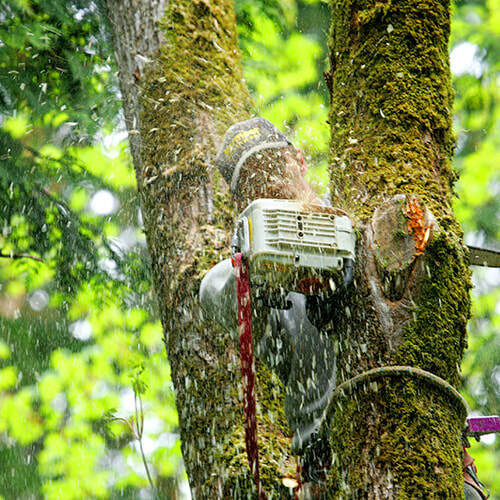 We utilize a structured procedure to trim trees to provide that limbs and branches are not cut too close to the main trunk. You can be assured, we will not over trim trees using this methodology. 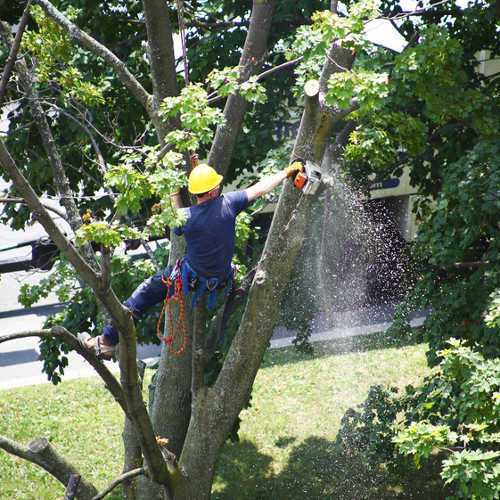 Tree Service Dayton OH will professionally trim and groom your trees so they look natural and healthy. We bring our tree trimming projects with a visit to your home or business to assess the tree(s) you would like to have trimmed. At that time we will assess the extent of the trimming necessary to remove dead or hazardous limbs as well as shaping to improve it's appearance in your landscape. As part of our meeting with you, we will review our approach to trimming and ask if your have any specifications for our trimming efforts, such as what to do with the wood and chips. At that point, we will provide you with a verbal estimate quickly followed up with an email from one of our office staff with the written quote. We will work with you the schedule a date and time that is convenient for you. During the trimming process we will usually have one main trimmer with one to two ground crew to maintain safety and keep your lawn and landscape clean. We will reduce larger limbs to three-foot sections either for removal or you own personal use as firewood. All the small branches and sticks will be removed and placed in our curbside chipper. Finally, when we depart your property, you will never know were there, except for some well-trimmed trees. Pruning is a lighter form of trimming a tree. It involves removing small limbs, such as water shoots, damaged or broken branches, and generally enabling the tree to better grow into a desirable shape. Ask us to prune some of your small trees while we are on your property removing or trimming your trees.